Excellent choice but unluckily the item immediately sold out. Please check again another time. Another very important factor is the transmission rate of the water vapour through the fabric, which should not be lower than 350 g/m²/24hrs. Only the high breathability and/or the excellent water vapour transmission rate can effectively limit moisture forming inside the tent, thus keeping your environment fresh and healthy. Therefore, choose carefully! All particulars, from the design concept, materials and components, to the safety features and insulation, have been methodically chosen and thoroughly tested in order to obtain an all-weather proof product reliable at all times. Just like the structure of a boat, we have used fiberglass to prevent it from aging, discoloring or losing its shape. Roof insulation with air gap is an exclusive Autohome feature. The air cushion obtained by the internal alveolar panel and the anti- condensation foam allow a better thermal and acoustic insulation and a healthier and more silent place to rest in case of rain. The shells are hand-made with brushes and rollers, the best technique for multi-layers. Fiberglass shells provide excellent insulation from the heat and cold, dampen the noise of rainfall and are strong and durable. In addition, if damaged, they can be repaired with no trouble. They do not go out of shape during opening and closing of the tent or under load, with people inside. There are many different tent materials and systems available on the market, which give rise to problems or provide benefits according to their quality and workmanship. For example, many additional or double canvases are not much use. They simply hide condensation from view, without preventing it; and solar or battery-powered fans are also rather inefficient. The essential feature for any tent used for camping is the fabric used, which of course has a cost but provides long-term advantages to the user. 6. the warmth produced by the human body. Overnight, on average, we lose about a third of a litre of water, in normal conditions, and this water vapour may become condensation. Hence the importance of the fabric. Quality materials are essential for wellbeing, comfort and a satisfying outdoor life. Without noisy fans, air conditioners, suction devices and the like. 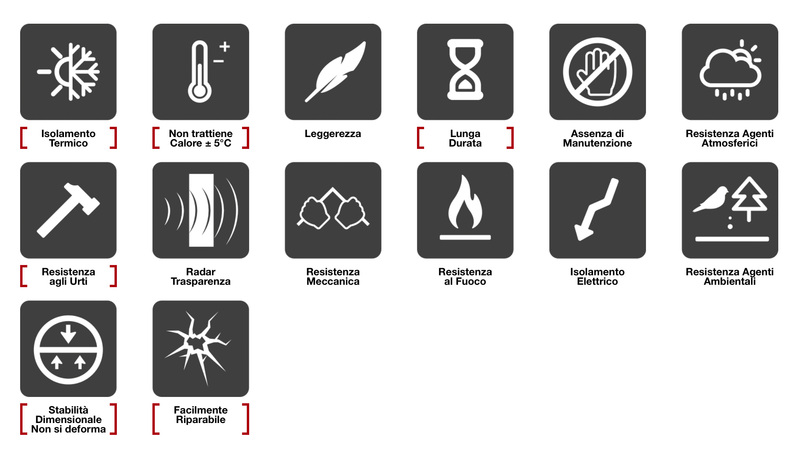 The certified values according to UNI and ISO tests show that AUTOHOME® fabrics remove humidity and condensation from the tent efficiently and naturally 24 7. Results that give concrete proof of how Autohome tents, with their superior quality, have built up a reputation in the market for absolute excellence in the sector. Count the number of stitches: the fewer the better. Check the needle and thread used. Plasticized surfaces should not be stitched because the stitching makes holes which tend to get bigger and bigger. Take a look at the fabric at the base of the tent, which should not be stitched, because this is where water could seep through. Take the same precautions for the roofs and under-roofs of vans and campers. There is an absolute minimum of stitching and no plasticized materials are used. At the base the tent and the fabric are perfectly integrated, without any stitching along the perimeter. The fabric is simply folded and turned up so the rain can run off smoothly outside the tent. There is no stitching in contact with water. The exclusive anchoring at the base uses elastic steel springs (without stitching) so the profile and base are flush. Only Autohome incorporates this high-quality feature. No stitching for the anchoring, the most delicate part of the tent. High up, the fabric is fixed to the tent by a dedicated aluminium rail. With the anchoring and fixing systems used by Autohome the fabric can be changed simply and easily. “SILENT” WINDOWS FOR A GOOD NIGHT’S SLEEP. UNDISTURBED BY THE WIND, OPERATED LYING DOWN IN BED. The two windows with legendary Gidion design from 1959 are perfectly fitted to the side walls, without jutting or going out of shape. Today, as then, they are without the complicated fringes, poles or other features used by competitors. Autohome® windows are safe, do not flap or swell up and, above all, are not noisy in the wind: ideal for a good night’s sleep whether there is a light breeze or a howling gale. The tent stays perfectly taut and the “veil” effect prevents tearing and damage from the wind. Above the windows, a practical guttering allows rainwater to drain off without entering the tent. The rubber is sewn into the fabric. A similar rubber tube fitted inside the fabric runs around the entire tent roof for extra stability and soundproofing in the wind. Each window has dual closing with an outer and inner blind. Lying in bed, a rope operates the window like shutters at home and you don’t need to leave the tent to close the windows. The doors are large and provide easy access to the tent. The large doors are fitted with mosquito net and can be closed on both sides by a zip. The four standard aluminium poles lift the canvas of the doors turning them into sun shades. Use when there is no wind. The built-in all-purpose clamp system developed by Autohome – running in the C-shaped guides in the base of the tent – provide quick anchorage to the roof rack. The installation can be customized and adapted to roof racks of different sizes and distances between the bars, without the need for cumbersome changes or holes in the tent shell. The tent can be fixed to two or more bars as well as to smooth roofs. Called the UNIVERSAL SYSTEM, this Autohome idea was first presented to the general public at the European Caravan Fair in Turin. Many have copied it and even today the Autohome® system complies with auto regulations and is TÜV quality-certified: proof of safety and a trouble-free product for customers and retailers of Autohome® roof tents. Flywheel opening is acknowledged as safe, reliable and durable. It is used for camper awnings and large canvas protections, in sports and in prestige residences. Not surprisingly it one of the features that has contributed over the yeas to the success of Maggiolina Autohome®, a product may have tried to imitate. The flywheel is a practical way of opening the tent, but useful for closing too: you don’t have to climb up over the vehicle to close the tent! The mechanical flywheel is safe and doesn’t require maintenance. It is greatly appreciated by users of 4WD vehicles and tall vans. The flywheel can be used to adjust the tension of the tent, making it perfectly taut: even after years of service the fabric does not loosen. In addition, it is “creaseless” and allows the rain to drain off quickly whilst standing up to the wind. Close the tent, remove the flywheel and it is just like locking your front door. Without the flywheel the shells cannot be opened or closed. Keeping your bags, beauty cases, rucksacks and their contents, along with other valuables, safe and out of harm’s way. The dual Autohome roof comprises an original fiberglass shell and a special honeycomb panel pre-perforated by laser technology. This exclusive “structural” system creates an “air cushion” preventing 24 7 the formation of moisture and condensation inside the tent. The insulated roof uses the same principle as applied by the building industry to the rooftops over lofts: an air cushion is created forming an interspace connecting the inside and outside, providing extra insulation against the cold and noise, but also keeping off the heat and humidity. The result is a quiet, healthy environment when it rains. Also important is the thick “anti-condensation foam” system adopted by Autohome for the lining under the roof. Experience has taught us that for the outdoors this is an essential feature for wellbeing inside the tent. With the advanced design of the Autohome® roof, no other devices – noisy and inefficient dehumidifiers and fans or solar chimneys and the like – are needed. Autohome® mattresses ae of the highest quality and density of 25-30 kg/m³. The sponge rubber, with removable cotton lining, is comfortable and does not go out of shape. Depending on the type of tent, two, three or four pillows are provided, which are stored inside the tent when closed. Autohome® tents are supplied complete with fittings. No extra price for pillows or the standard aluminium ladder. We chose European quality with the OSRAM® trademark for the interior lighting of the shall tent, without heeding the blandishments of low cost Asian manufacturers. We chose a design with a proven track record, but above all OSRAM® quality. Touch lamp (18 x 5 cm) with 3 Led ultra-bright leds, an adjustable spotlight and batteries. The lamp can be removed from the roof to replace the batteries or use as emergency lighting. OSRAM® Light AG, part of the Siemens Group, has headquarters in Munich, Bavaria, and is one of the world’s two largest manufacturers of lighting equipment. Not impressed by the huge variety of ladders on the market, Autohome® produces its own ad hoc aluminium ladders to tight specifications: light, compact, a perfect match with the tent. Ladders available on the market are not used. Nor are low-cost mass-produced ladders. Each one comprises two halves, one sliding over the other, held together by Arnitel supports: an extremely strong plastic designed and manufactured by Autohome® to ensure sand, dirt or mud is not trapped in the sliding mechanism and the ladder works perfectly in all conditions. The ladder can be placed at the entrance as you want, and locked automatically in position with the built-in “Security Lock”. No ugly and impractical hooks. A bag is supplied for the ladder. The automatic spring in the “Security Lock” locks the two parts of the ladder in position for perfect stability and, above all, safety. The “Security Lock” and attachment at the top of the ladder ensure that, climbing up or down, there is no weight on the tent. This is safe and prolongs the life of the tent. With the “Security Lock” the ladder cannot slip and slide or bump against the bodywork. Ladders are designed ergonomically with rounded aluminium profiles for easy use. The steps are oval with anti-slip surface and can be climbed with bare feet. The two parts of the ladder are held together by Arnitel plastic supports designed to be “open” to remove dirt ensuring a smooth sliding mechanism even on a sandy or muddy terrain. The built-in strut has the dual function of preventing oscillation and protecting the vehicle roof or drip surface (where the ladder is used, for example, with a Lan Rover Defender). Simple, practical, without ugly and clumsy hooks. The ladder has no fixed position at the base of the tent and so can be placed to the left or right or at the centre of the entrance, as you wish, depending on the opening of the vehicle door. For some vehicles the tent can be attached directly to the vehicle roof runners. Rubber is fitted specifically for this purpose to prevent damage to the bodywork. N.B. : when travelling all ladders can be placed inside the closed tent except the EXTRA LONG ladder, which is too large for the shell. Hooking up the elastic the fabric is drawn towards the centre of the tent, making it easier to close. This is especially advantageous when the tent is installed high up on a camper, 4WD or van roof. The elastic works independently, is not sewn directly to the fabric and does not cause wrinkling or other defects. The result is an attractive fabric that is waterproof, stable and durable. Unhooked, the fabric is taut and unwrinkled, as experts have repeatedly testified. The special ALSS knuckle at the base of the tent is a safety lock for the ladder, making sure it doesn’t slip outward. Indispensable on the tarmac and smooth or slippery surfaces. Columbus incorporates the exclusive AirCap ventilation system designed for the ergonomics of this tent. The AirCap intake is at the top of the canvas, sheltered from the weather and protected by a mosquito net, improving ventilation and preventing the formation of condensation. The opening and closing system used for Columbus has made history in the sector and has been imitated time and time again in various camping and caravan applications. Hoisting of the tent is very easy: two gas springs raise the shell which has a front hinge. Simplicity is often the best way and in this case made the Columbus range a world beater. The tent opens in an instant, and closes quickly too. Just pull a rope and the shell closes without climbing onto the vehicle. Columbus is the top-of-the-range for frenetic globe-trotters, ideal for high vehicles and nowadays popular for family saloon cars. The gas springs are fitted with Windstops to lock the spring supporting the upper shell, making for greater stability in strong winds. Open, Columbus is the highest tent of all: great space inside for maximum comfort. A strong tear-proof hood protects the tent when it is closed and while travelling. The hood covers the tent and is fixed by elastic around the perimeter, fitting onto hooks under the tent. 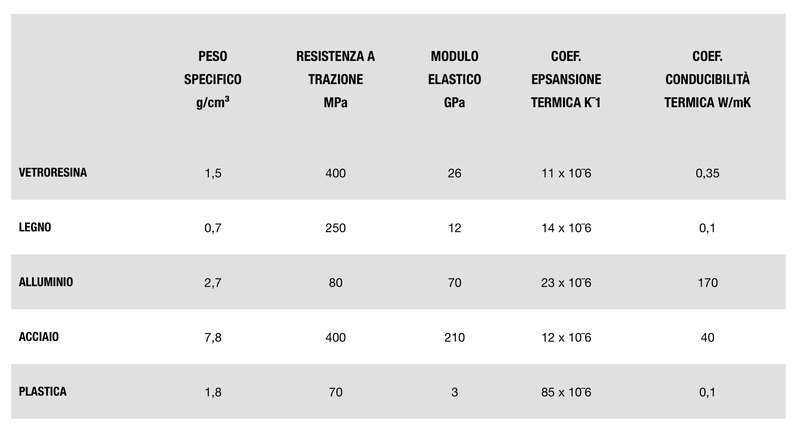 Elastic was chosen way back in 1959 and still today is the most practical and reliable system. Other closing systems failed to pass Autohome tests for functioning and reliability. Not even a zip around the perimeter will do, because desert sand or Australian dust as rarified as talcum powder can clog the mechanism. The hood is made of strong electro-welded PVC with additional internal reinforcements. Side positioning: the tent will occupy only half of the car roof space. Open, the tent covers the whole vehicle roof without jutting over the hedge. In this way, it can be used in rest areas and car-parks, not only in campsites. Surfboards, a canoe, bicycles or tools for your favourite sport can be placed on the roof rack, thanks to the compact design of Overcamp, which takes up only half of the roof. A new feature we have waited years for and presented by Autohome® for the first time in Germany, at the Düsseldorf 2017 Caravan Salon. It was appreciated by the most important buyers and travelers of various nationalities. WINDSTOP is an easy-to-use device applied directly to the gas spring to provide Columbus and Airtop tents with additional stability. Every tent with gas spring opening is fitted with WINDSTOP. Easy to use for extra stability in strong winds. No tedious manual operations to stretch out the tent or fold up support arms every time the tent is opened or closed. Two-step opening and closing guaranteed, for easy use. The upper shell has an exclusive design and the guides fitted to the structure allow for a maximum roof load. The adjustable bars are perfect for large loads such as a spare tyre, fuel tanks, timber and tools. The Innovative and exclusive Autohome® production of fiberglass shells makes for a decidedly lighter tent. Fiberglass is a compound material, obtained from sinking carbon threads into a special resin. After solidifying, fiberglass is incredibly strong and light. Because it is difficult to dent or deform, fiberglass is used in many motor sports. Fiberglass shells for Autohome® tents are made by laying out layers of carbon fiber in special moulds, and impregnating them with special resin for hardness. The advantages of fiberglass shells include great strength, their weight (up to 20% less than conventional shells), heat insulation and their ability to withstand huge changes in temperature. The special GELCOAT is a natural colour amalgamated directly into the fiberglass. Totally unlike conventional paints, it ensures maximum strength and in unalterable. For our shells, Autohome chose the highest quality and most reliable procedure for the paint. Gelcoat, which amalgamates with the fiber, is as durable and tough as can be. That is why it is used for fiberglass vessels which need to withstand an aggressive salty environment and multiple situations of stress. Unlike conventional paints used for bodywork, Gelcoat is applied thickly in the mould during stratification, so it amalgamates perfectly with the fiberglass. The result is a tough paint, resistant to UV rays, heat, salt water and salty air, as well as aggressive solvents. It can handle just about anything. Whereas painting the shells would make them more likely to scratch, dent and become damaged during the journey. Painted, the fiberglass peels and is less long-lasting. This is why Autohome® doesn’t customize the paintwork. Because the shell ISN’T painted at all. But, on request, a particular shade of Gelcoat can be chosen from international colour charts (for orders of 70/100 units). So that’s the secret of Autohome’s colour. It is part of the shells, not painted on! Painting a shell reduces its strength. Unalterable Gelcoat preserves it. NO MORE NOISE FROM THE WIND! AUTOHOME ELIMINATES THE PROBLEM OF DANGLING HANDLES AND NIGHT NOISE. Dangling handles in tent shells are noisy at night due to the wind, one of the most common complaints in the sector. With its experience and the quality of its vision, Autohome was unlikely not to come up with a solution. Now, tie-rods and handles on the edges of the shell can be whisked away with a simple gesture, eliminating the irritating noise caused by the wind. It also improves tidiness and the look of the tent interior, with nothing dangling awkwardly. A rubber ring silences the movement of the zip cursor even in high winds and makes zipping and unzipping even easier. The double clip prevents the bands from hanging off, thus avoiding the annoying tinkling caused by the breeze and the wind.